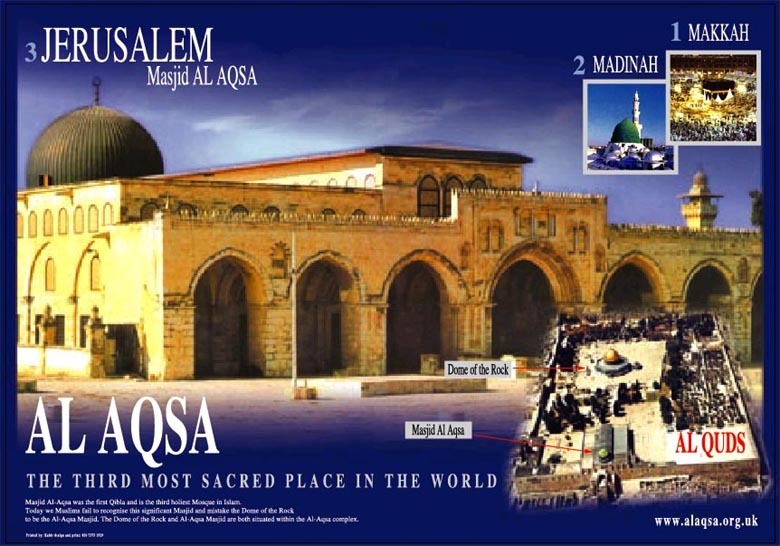 This was our first publication featuring the Al-Aqsa Masjid and Inshallah this will not be the last. Alhamdulillah! we have completed the first poster campaign and met the objectives, now we have the second poster out! 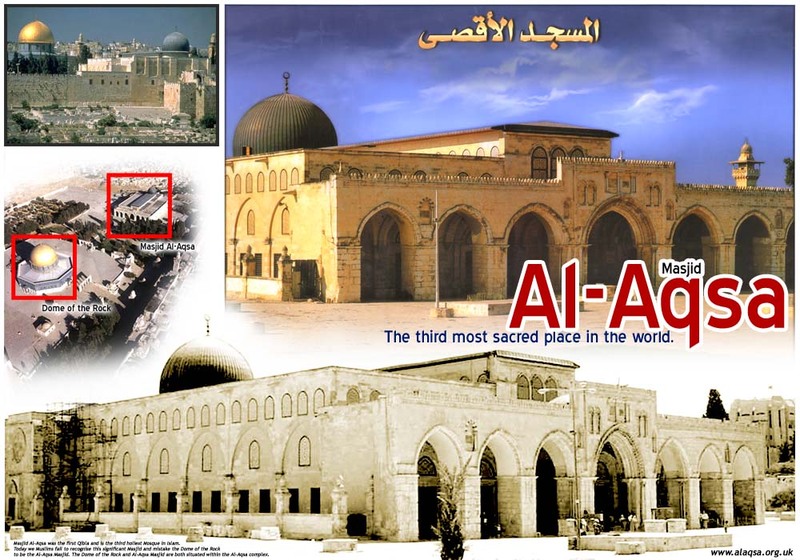 Clear example of how close the Dome of the Rock and Masjid Al-Aqsa are, still pictures of the Masjid are so rare. Copyright © 2001 - 2002 Masjid Al-Aqsa Awareness Trust. All rights reserved.